How we used to do it, before MEETUP. Might be a source of ideas for rides. LBUG Sunday Rides are held most Sundays. They usually (notalways!) start at 830am at the Bakehouse Cafe inMoore St, Leichhardt (200mdown from Balmain Rd). Meet earlier for a preride coffee. Ridesopen to non-members (small donation appreciated), you can joinlater if you wish. We are a touring and leisure group of mixed age andability. There are rides of varying grades to suit all abilities.New or returning cyclists can try our EasyRiders every month. We try to keep thegroup together so no one is left behind. We appreciate riders onour easy to moderate rides who are prepared to help with dutiessuch as pointing the way or helping slower riders. Proposed weekend two or three day rides are included – times orroutes may be changed as the year goes on. Check for latestdetails closer to the time. See here for descriptions of many ofthe routes in the Calendar. Also look at www.bikely.com and do a search onLBUG. A note on Insurance– If you are a member of Bicycle NSWyou are insured for any injury you cause to other people (includingother cyclists) or damage to their property when riding. You alsoget as part of the membership limited personal injury insurance forinjuries to yourself. 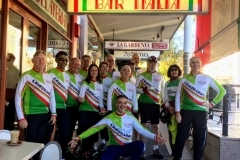 Join BNSW online at www.bicyclensw.org.au. For latest info join the LBUG email list on Yahoo Groups atau.yahoogroups/group/lbug. Key: ORB= Optional Ride Back, E=Easy,M=Moderate, H=Hard, MAM=meet at Moore St,Bakehouse Cafe, MACU=meet at Central Station, upstairs, 15mins before train. MACD= met at Central, downstairs, 15 minsbefore train. Jan 11 Easyrider #1. Morning spin. 25-30 km. MAM 8.00am. Feb 1 Sunday. Easyrider #2.Cooks River Tour. 30 km. Easy pace, wont leave you behind. MAM 830am. Leader: Dave/Heather. March 1 Sunday. Easyrider#3. Morning spin around the Inner West foreshores.Libby/Cathy. March 15 Sunday. Manly for a swim. 40 km M. Steephills. Nice views. Take in Manly Dam and North Heads. Leaders:Ian/Dave. Seniors Week 15-22 March.Said we’d do some rides forBNSW/DAHC. Dates to be confirmed. Possible mid week ride on Wed18/3. March 21-22 Newcastle to Nelson Bay. Stay at YHA. Earlytrain to Newcastle on Saturday. Ldr Merv McCusker. If interestedphone Merv on 96308180. March 29 Sunday. Wisemans Ferry to Spencer 50K M,extension to Mangrove Mountain, 100km H. Details from JanMahondas on 9871 6968. April 10/11/12/13 Easter Bike North’s Tour De Cowra. Camping or cabins at Cowra, doday rides. Book early. For those not away we often do a ride on Easter Monday. April 13 Leichhardt to Como via Brighton and Captain CooksBridge. MAM 830am. 50 km M. Bob. Return via Oatley. (Optional train back from Como or Oately). April 19 Leichhardt to Prospect Canal Cycleway and OrphansCreek. Lots of cycleways. Vietnamese lunch at Canley Vale. 70 km.Optional train back from or ride back via Regents Park. M.MAM 830 am. Ldr: Bob. April 24/25/26 Anzac Weekend Away – Bathurst to Orange. 2 or3 day options. Contact Heather. May 3 Sunday Easyrider #5.Take it easy on a ride to the City and across the Harbour Bridge.20 km. All welcome. MAM 830 am. Ldrs: Dave/Phillip. May 10 Sunday. Pymble to Manly via Akuna Bay and Narrabeen.Train to Pymble. 70 km. M/H. MAM 8.30am. Ldr: Bob. NB — Calendar events may change so please check backfrom time to time. June 6/7/8 Tour over long weekend, Rylstone to Bylong andMudgee. Contact Heather Manning. For stay at homes, on Monday 8 Easyrider #6. Take it easy on a ride over toCabarita. 30 km. All welcome. MAM 830 am. Ldr: Dave. June 10 Midweek ride. MAM 830 am. Out to Kurnell or similar.Bob. June 21 Sunday. Mulga Bill.Windsor/Richmond area. 70 km. M/H. MAC. 8.06 am train toWindsor. Ldrs: Bob/Drew. July 5 Sunday. Easyrider #7.25 km. MAM 830 am. Libby. July 18/19 Weekend Tour. Details to be announced. Contact:Drew Stones. July 26 Sunday LBUGChallenger. Hornsby to Brooklyn via Bobbin Head. 50kmH MAM 800am. Ldr: tba. Aug 2 Easyrider #8. MAM 830am. Morning spin. Bob. Aug 9 Sunday. National Park. Waterfall to Bundeena and ferryto Cronulla. 50km. ORB 75 km M/H. MAM 8.00am. Train toWaterfall. Bob/Mark. Aug 22/23 The 3 W’s, Wyong to Windsor via Wiseman’s Ferry.Up Bumble Hill (big). Overnight at the WF Hotel (Tel 4566 4301 tobook a bed). Train from Central at 7.21am, arr Wyong 9am. Trainback from Windsor. Contact: Grant Rogers or Heather Manning. Aug 30 Sunday. Leichhardt to Cronulla (optional extension toKurnell). 50-65 km. M Easier options- finish at Brighton ortake train back from Cronulla. MAM 830am. Mark/Bob. Sept 6 Sunday. Easyrider #9.Morning spin. 25 km E MAM 830 am. Ldr: Ross. Sept 27 Sunday Bicycle NSWSpring Cycle -Starts North Sydney Oval. Finish atOlympic Park. Enter from BNSW website at www.bicyclensw.org.au. Oct 3/4/5 Long Weekend Tour de Country. Cowra/Young area.Contact Heather ASAPP if interested so we can get the numbers anddo the planning. Oct 11 Sunday. Easyrider #1020-30 km MAM 830 am. Oct 14 Wednesday. National Ride to Work Day– jointhe crowds! Get a kit from BNSW for your place of work. Register for chance to win prizes. Oct 18 – LBUG Challenger.Springwood to Hornsby. 100km H. Contact Grant. Oct 24/25 Newcastle area. Train to Warners Bay. Can doone or two days. Details to be finalised. Nov 1 Sunday. The Gong Ride (enter at bike shops orthrough MS). 75 km M/H. Nov 15 Sunday. Leichhardt to Watson’s Bay via Bondi. MAM830 am. Ride back via Bellevue Hill or catch ferry to Circular Quayfor an easier option. Nov 22 Sunday. Big Leichhardt BikeDay. Community event for cyclists of all ages.10 am to 2.30 pm,War Memorial Park, cnr Catherine and Moore Sts, Leichhardt. FreeBBQ, stalls, events, Community Ride at noon, 10 km around theforeshore. Volunteers wanted. Support cycling and LBUG. Nov 28/29 Saturday: Springwood to Katoomba. Dayride option or stay at YHA and ride back down the mountains onSunday morning. MAC for 7.18 am train to Springwood. Leader: GrantRogers. 40km M/H . Sunday: Katoomba to Penrith. 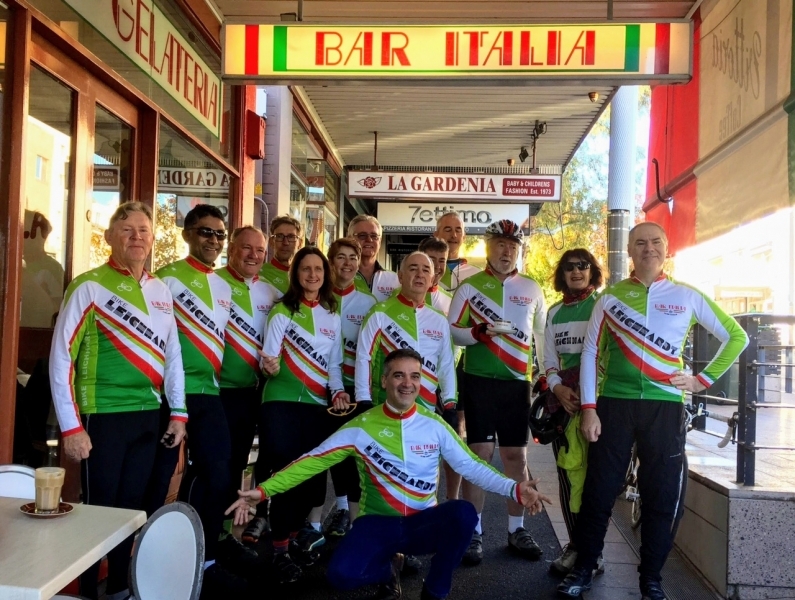 Day 1 riders at the YHA have aleisurely breakfast in Katoomba before meeting any riders who mightcatch an early train up from Sydney and meet at 930 am at KatStation for the downhill on Grant’s back street route. 50 km.Contact Bob 98103706 0418 265301 or Grant mob 0408 164259 for moredetails. M.
Dec 6 Easyrider #12– MAM 830am. Morning spin. Bruce. Dec 13 Sunday. End of year LBUGPicnic Ride. A short (easy) morning ride to aharbourside picnic spot. Meet at Moore St, Bakehouse Cafe, 930 am.BYO picnic goodies. Jan 24 or 31… Longer ride. Send in your ideas for rides or tours. Maybe volunteer to leadone! Join the LBUG mailing list from the home page and get all thelatest rides, news and updates. Also check the Touring Group page formore touring info.